Bigg Boss 12: Rohit Suchanti said, it's sad that I couldn't complete the remaining two weeks in the show"
Actor Rohit Suchanti, who got evicted from Bigg Boss 12 on Sunday, told The Indian Express that he feels "disappointed" for not being able to make it to the finale and on being asked to choose his winner, he took Surbhi Rana's name. "Without a doubt, it would be Surbhi Rana," Rohit said. Rohit, who was nominated along with Karanvir Bohra and Somi Khan, added that it was a "shocking eviction". He told Indian Express, "I am definitely feeling disappointed. It's sad that I couldn't complete the remaining two weeks in the show. I really wanted to reach the finale and win the show also." "It's a shocking eviction for many as they were not expecting me to get out. But we need to accept it and move ahead. Though yes, I do wish I was in the show," he added. Rohit, who played the lead role in TV show Rishta Likhenge Hum Naya entered the show as a wildcard contestant. He shared a good rapport with Surbhi and Deepak Thakur. However, in the last few weeks, he and Deepak were involved in several fights. Rohit also considers Deepak one of the reasons behind his eviction, as he refused to help him in the nomination task. "He was definitely one of the reasons. But it would be stupid on my part to blame him completely for the eviction. There were many twists lined up and if not him, it would have been someone else, who wouldn't have made a sacrifice for me," Rohit told Indian Express. During his stint, Rohit was also scolded by Salman Khan, the host, for his behaviour towards Sreesanth and Dipika Kakar. Rohit had heated arguments several times with Sreesanth and Dipika. During a Weekend Ka Vaar episode, Salman asked Rohit to keep a check on his behaviour. "I was not the only one who was scolded by Salman sir. After the particular episode where he pulled me up, I have tried imbibing a lot of what he told me. And I was so happy when he said that he could see some positive changes in me. That's an achievement for me. Even Sreesanth and Dipika Kakar, with whom I have had multiple fights accepted that I am becoming better day by day," Rohit told Indian Express. 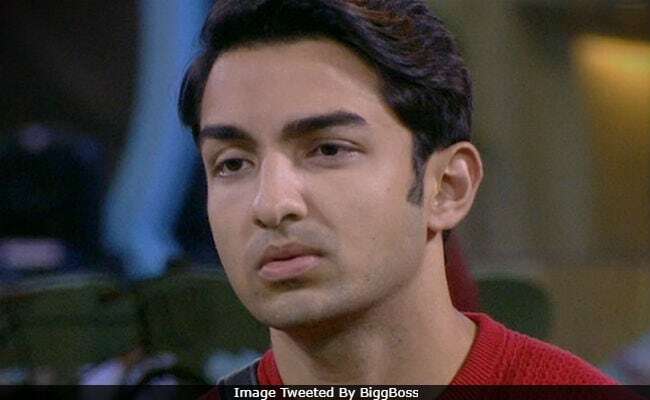 Of his Bigg Boss 12 journey, Rohit Suchanti said, "The only regret is that I couldn't reach the finals After entering the show in the eighth week, I survived in the game alone. I had no support but I did manage to make some good friends." Bigg Boss 12 is just a couple of weeks away from the finale. Currently, Sreesanth, Dipika, Karanvir, Somi, Romil Chaudhary, Surbhi and Deepak are staying in the house.